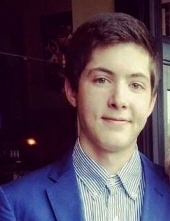 William (Will) Thomas Rose VI was born on April 3rd, 1996 in Mason City, Iowa to Billy and Kristin Rose. He is survived by his parents Billy and Kristin, his siblings Matthew (Abigail), Hunter, and Elizabeth, and his grandmother Joyce Krohn. Preceding him in death are his grandparents Marilyn Glasberg, William Rose, and Paul Krohn. A private service for family will be held. To send flowers or a remembrance gift to the family of William Rose, please visit our Tribute Store. "Email Address" would like to share the life celebration of William Rose. Click on the "link" to go to share a favorite memory or leave a condolence message for the family.